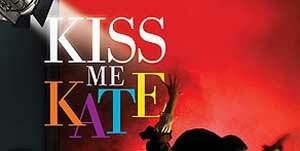 The full cast has been announced for Trevor Nunn's new production of Kiss Me Kate, which is currently in rehearsal and starts performances at Chichester Festival Theatre from June 18th to1st September, with a rumoured West End transfer. 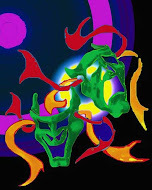 The cast will feature Alex Bourne as Fred Graham/Petruchio, Kevin Brewis as Riley/Hortensio, Wendy Mae Brown as Hattie, David Burt as Gangster 1, Clive Rowe as Gangster 2, Christopher Dickins as Pops, Adam Garcia as Bill Calhoun/Lucentio, Paul Grunert as Harry Trevor/Baptista Minola, Mark Heenehan as General Harrison Howell, Samuel Holmes as Flynt/Gremio, Jason Pennycooke as Paul, Holly Dale Spencer as Lois Lane/Bianca and Hannah Waddingham as Lilli Vanessi/Katherine Minola. The ensemble includes Michelle Bishop, Shaun Henson, Holly James, Richard Jones, Carolyn Maitland, Jo Morris, Harry Morrison, Tanya Robb, Warren Sollars and Kate Tydman.